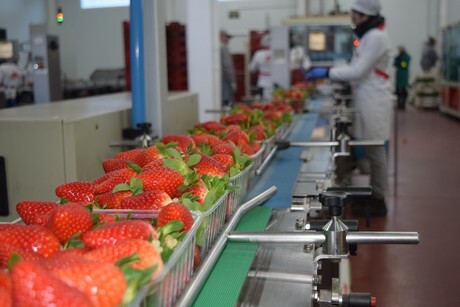 "We want to attract increasingly younger consumers"
Fresón de Palos, the cooperative that produces the largest volume of strawberries in Europe, with around 70 million kilos per year, is starting the 2019 season with the objective of consolidating its commercial position and continuing to strengthen its famous brand. While its promotional campaigns over the last two years have been associated with the major film producer Sony Pictures (with 'The Smurfs' in the 2016/2017 season and 'Peter Rabbit' in the next), this year, the brand is joining forces with the NBA, which has many followers in Spain (only the US has more). 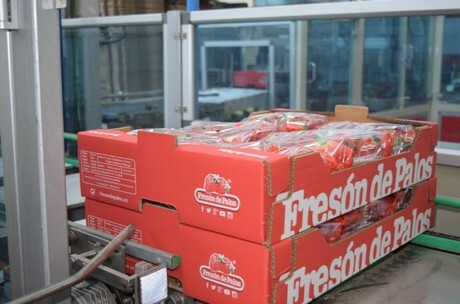 FreshPlaza visited the facilities of this company, which are located in the Huelva town of Palos de la Frontera. That's the place Christopher Columbus departed from on his famous expedition to America. It is an ideal area for growing strawberries, with some of the highest yields. 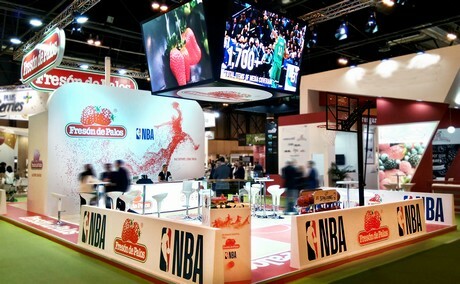 The Fresón de Palos-NBA promotional campaign will be based on the message "Do sport. Eat fruit ", and will be disseminated both online and in off line media (television, magazines, newspapers...), as well as on the shelves of large supermarket chains in Spain. The domestic market is, in fact, the most important for the firm. 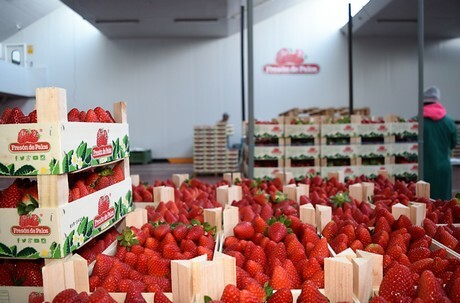 Even though almost 90% of Huelva's strawberry production is exported, Fresón de Palos is an exception and has the Spanish market as its main destination. In any case, its exports still reach more than twenty countries thanks to its large production capacity. "Our promotional campaign with the NBA pursues not only to encourage sales at the time when the seasonal production peaks, but also to promote healthy living habits, which includes consuming berries and practicing sports. To this end, we are building a link between our brand Fresón de Palos and the NBA, which should give the campaign some extra notoriety in the medium and long term. Furthermore, it will help attract increasingly younger consumers," explains Jaime Zaforas, Marketing Director of Fresón de Palos. The campaign will be carried out at various levels and in different formats; the goal is to achieve the highest GRP in the key weeks, working together with the supermarkets to make the promotion visible through striking displays at the point of sale, and hoping to reach the desired amount of leads. In order to encourage participation, thousands of prizes will be given away to consumers via the website. Moreover, personalized packaging will again be a key element in the promotional structure, and there will also be a special, NBA-inspired 1 kg format, which is already generating great expectation among our customers. After the Spanish market, Italy is one of the countries where the brand Fresón de Palos has penetrated the most, especially in the retail, and where they will also soon present an exclusive advertising campaign. In terms of marketed volumes, Germany is the most important export market. 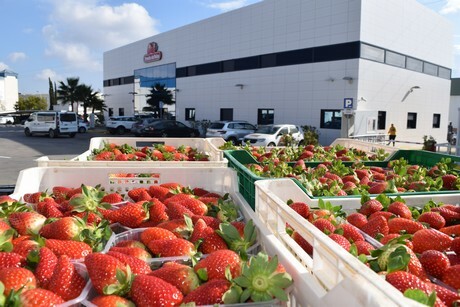 At the same time, the cooperative's strawberry and blueberry sales are growing considerably in Eastern countries, "where the purchasing power of consumers continues to grow and large supermarket chains are gaining ground." 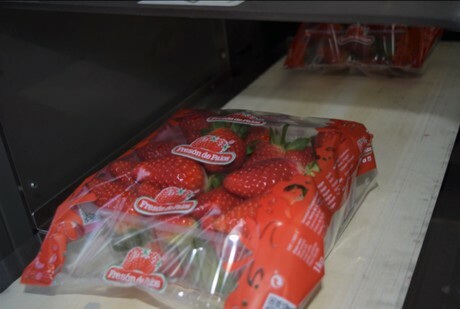 According to Jaime Zaforas, strawberry sales have remained at acceptable levels over the last three years, leaving some difficult years behind, which were perhaps what motivated the quick diversification into other crops. 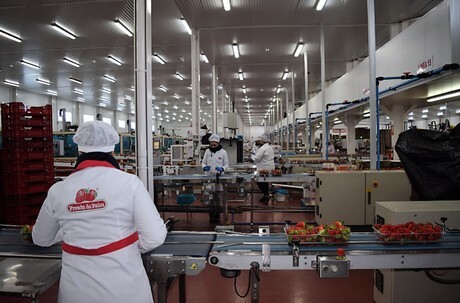 In this regard, Zaforas points out that Fresón de Palos' diversification has been taking place gradually, with strawberries still as the flagship crop, and growth in the production of other berries.